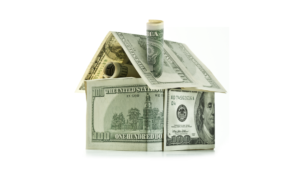 What Determines the VALUE a Home?? While the market is ever changing, many sellers are often curious about the value of their home. After all, for many people their home is their biggest financial asset! Of course, there are many factors in determining the price of a home. Below are the most commonly used “measuring sticks” for pricing property. However, it’s important to keep in mind that when selling a home, ultimately the buyers (AKA, the market) will determine your price. In the end, a home is only worth what a ready, willing and able buyer will pay for it. 1. Inventory – AKA, supply & demand. While this may not have been the first thing that came to mind, the amount of inventory on the market is probably the most important factor for pricing a home. If you are selling in a sellers market (where there is NOT a lot to choose from), then you will get more money for your home. If you are selling a buyer’s market (where there is a lot to choose from), you will likely get less. 2. Area – Of course you know the old saying location, location, location… and it’s true! Where your home is located and more specifically what that location offers makes a big difference in price. School districts, access to interstates, walkability, etc will factor into the value of your home. This is why when looking at comparable properties we tend to pull no more than a ½ mile radius from your home to see what has sold as those are the best indictors of value. 3. Condition – This broad term can encompass many things, but ultimately, it has to do with how your home looks and feels to buyers. Does the floor plan work for many types of people/families? What is the square footage of the home? Is there a basement? Is the house clean and free of clutter? To each buyer there are pros and cons to various features of a property, but the more you can show off the best features of your home, the better the condition and the more money you will be able to drive! At the Peters Company, we make it our most important work to be market experts. That is why we are constantly monitoring the market. We know the stats inside and out so that we can determine the inventory level at any given time, we live/work/play all over Atlanta so that we understand the nuances of various locations, and we implement teams of experts and stagers to make sure the condition of your home is top-notch before hitting the market! Want to know what YOUR home is worth? Reach out to The Peters Company today! ← What Did We Learn from the Collapse of I-85?